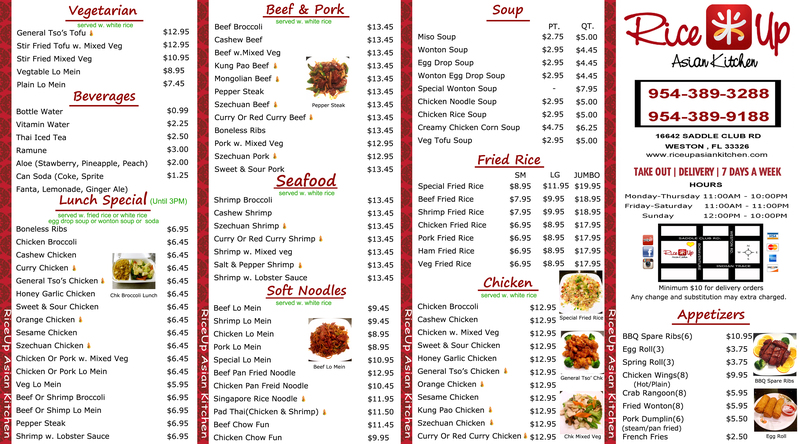 When you’re craving Asian cuisine, call RiceUp Asian Kitchen in Weston, FL. We offer various take-out food that will satisfy your appetite for Asian dishes. Try our Chinese lunch specials which include Beef Broccoli and Veg Lo Mein and indulge in equally exciting Japanese treats such as sushi, sashimi, and hand rolls. With every bite, you’re sure to get hooked! No time to go to a restaurant and eat your favorite Asian dishes? Don’t worry as all our food and beverage items are also available for delivery. Our delivery services are available 7 days a week for a minimal fee. Just give us a call and we’ll be there to deliver Asian food goodness right at your doorstep. Take delight in the appetizing Chinese and Japanese dishes offered at RiceUp Asian Kitchen. 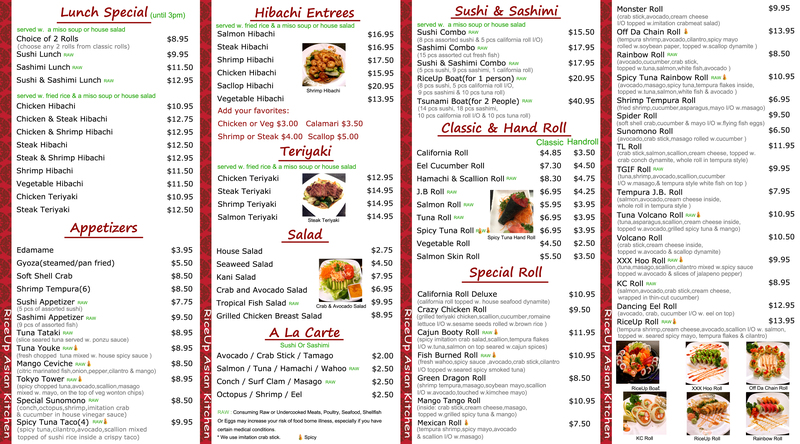 For more information about our menu offerings, call us at 954-389-3288. We look forward to sharing with you our love for delicious and satisfying Asian food.